Imagine yourself in a career with unlimited potential for personal, professional and financial growth, and the ability to make a significant difference in people’s lives. As a PuroClean Franchise Owner, you have the opportunity to enjoy extremely attractive profit margins. You also find a fantastic sense of satisfaction as you make a tremendous impact on the communities you serve by offering essential services that help property owners in their time of need. PuroClean®, founded in 1991, offers a unique restoration business opportunity to entrepreneurs who possess excellent interpersonal skills and business experience. With over 250 restoration franchise locations nationwide, PuroClean offers a low risk/high reward franchise opportunity with an incredible level of personal satisfaction to qualified candidates. 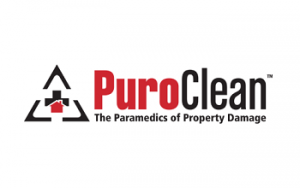 PuroClean is the best restoration franchise in both emergency property services and in the communities we serve. Property damage occurs daily in every city across the country. Property owners file claims with their insurance companies who then refer and pay a professional restoration company, such as PuroClean, to restore and clean up the damage. More than 50,000 water losses occur per day in the United States, not to mention the $21.6 million lost to fire damage every day. PuroClean franchises follow a proven business-to-business sales model that paves a pathway to success in the recession-proof, multi-billion dollar industry of property damage restoration. Supported by a national business training support center, PuroClean franchisees have become the property restoration provider of choice for insurance professionals and property owners throughout the United States and Canada. Our Brand Promise: When property damage occurs, PuroClean provides unmatched service quickly, professionally, ethically and with compassion, resulting in peace of mind for all concerned. To learn more about the PuroClean franchise opportunity, request more information below! Three-week training: technical, sales & marketing, financial, operations and all facets of business management. Support from your regional director and the home office. Week One: Hands-on instruction from an Institute of Inspection Cleaning and Restoration Certification (IICRC) teacher in order to receive Applied Structural Drying (ASD) and Water Damage Restoration Technician (WRT) certificates. Week Two: Software training, business development, and accounting. Week Three: Concentration on sales and marketing. In addition to NFT, we offer several certification courses throughout the year. Our continuing education programs arm you with the tools to achieve your goals for growth and achievement. The PuroClean Online Academy provides you and your team members with ongoing, valuable training for personal and technical enrichment so that you can provide the expertise, empathy, attention, and world-class customer service PuroClean customers deserve. Our IICRC-approved flood house is the focal point of the real-life practical training as a new franchisee. Only one of 24 in the world, our facility is designed for you to have real-life training in water damage remediation for any residence in any region of the country. We also have a special designed smoke and soot damage simulation room and custom contents cleaning facility equipped with the latest equipment, where we teach you the very best approach to clean damaged contents for fire and smoke damage restoration jobs. You'll be more prepared that competition to take advantage of the huge water damage restoration and fire and smoke mitigation market opportunity. Shortly after graduating from New Franchise Training your Regional Director will continue support at your office for Infield Franchise Training. During this time, they'll help you set up the operation, offer tips on taking sales calls and keeping records You'll get all the time you need for asking questions about all aspects of the business. After this training, you'll also have contact information for your regional director, usable day or night, 365 days a year. There will be additional opportunities to attend classes at the PuroClean Academy along with 24x7 supplemental content at our PuroClean Online Academy, a rich resource for owners. We are constantly improving and expanding its instructional content. When you join PuroClean, you have the entire company behind you. When you're successful, we're successful, and it is our mission to make that happen. PuroClean owners provide 24/7 response quickly, efficiently, and cost-effectively through use of our proprietary operating and claims management system, PuroMetrix™. This innovative program centralizes loss notice assignments, job data collection, and reporting to the insurance company, adjuster or claims manager all in one easy and effective platform. One of its key features, PuroView, is an online tool that provides real-time information to your customers at all times. PuroMetrix allows you to run your business efficiently, providing the superior customer experience that PuroClean customers have come to trust. One of the advantages of being a PuroClean property restoration franchise owner is access to our proven, optimized sales and marketing program and our award-winning, in-house team of professionals. Assets in this program are ready for you to leverage in your local market from day one. At the national level, you'll benefit from the strength and increasing awareness of the PuroClean national brand both online and off. When you present a polished, consistent and attractive property restoration service image to your customers it makes getting customers much easier by increasing their confidence to call and recommend you to others. Brand Identity Guide - A one stop resource for all approved PuroClean brand information, such as approved colors, fonts, logos, and marketing image palettes. Online Library - An extensive library of print and marketing tools have been developed to help you make every customer’s visit memorable. You can access this library yourself or work with our marketing team to find the exact item you need for your local printing or wrapping vendor. Internet marketing - In addition to a personalized, optimized local website, we also assist with the setup and management of critically important Google, Bing and other local business listings, along with important tips for local search engine rankings As you continue, you'll have access to state of the art resources for gaining and promoting customer reviews and ratings in your local area, which can increase calls even more. National Public Relations - The PuroClean PR team is constantly working to increase national brand exposure, through co-marketing opportunities, award submissions, social media, interviews and more.